Janzen’s writing style is very interesting, but it’s not very wholesome or respectful of Mennonites. 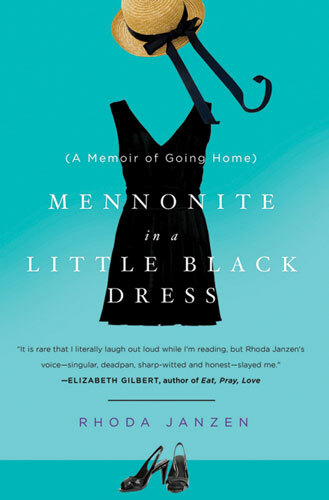 Mennonite in a Little Black Dress: A Memoir of Going Home. Rhoda Janzen. Henry Holt and Company, 2009, 241 pages. My sister lent me her copy of Mennonite in a Little Black Dress saying, “You’ll hate it, but you’ve got to read this book!” I sat down to read it that afternoon and was surprised that I didn’t hate it as much as I thought I would. 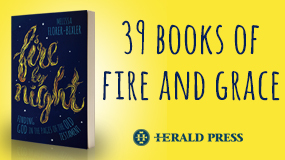 Rhoda Janzen writes with a wry sense of humour and biting wit that makes her dialogue interesting, funny and easy to read. Janzen’s story begins in her forties after she has suffered some major difficulties in life. 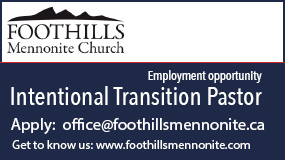 As she reflects on her childhood, her family and her situation, she decides to return to the Mennonite Brethren community in California where she was raised. While her self-deprecating comments are very funny, her caustic descriptions of her family and her Mennonite community are less amusing. She describes her growing-up years with the sharpness of a recalcitrant teenager and the digs at her mother and other Mennonites are relentless. After Janzen moves back home to recuperate, there is a sense that she is beginning to value the strengths of the Mennonite community. She never puts it into words, but she describes a new respect for people with whom she is re-acquainted. That mellowing and sense of hope is destroyed by the final chapter, however. The Appendix, entitled, “A Mennonite History Primer” is back to the caustic and sophisticated Janzen who pokes fun at her prudish Mennonite heritage as she wittily skips her way through Mennonite history, bundling together fact, fiction and clever comments. I wonder if the title was chosen to entice readers of the popular “bonnet fiction.” If so, the reader will be shocked as this is the antithesis of that genre. Janzen’s writing style is very interesting, but it’s not very wholesome or respectful of Mennonites.